Tour the capital city of Kathmandu, see the best of Pokhara, and spend time exploring Chitwan National Park. Go on city tours, boat rides, elephant safaris, nature walks, and discover Nepal on this 8-day adventure! 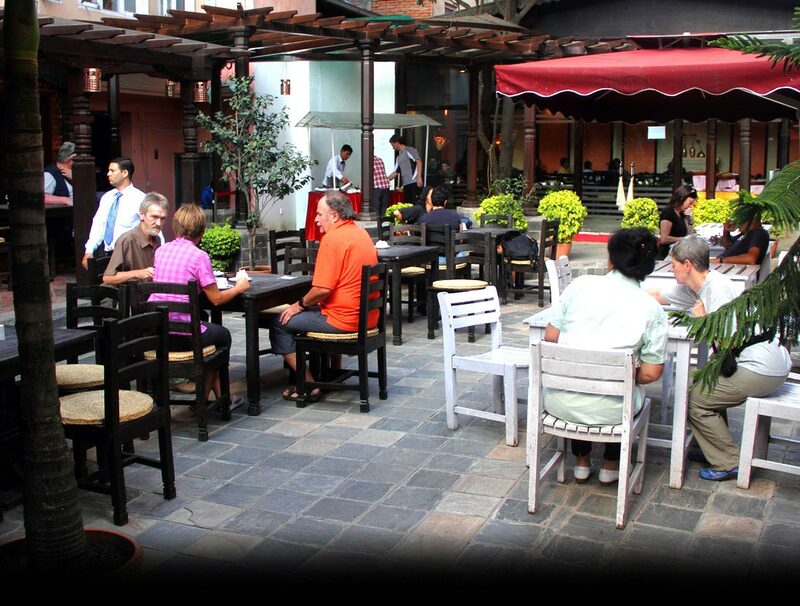 Hotel Marshyangdi is conveniently situated in the heart of Thamel, Kathmandu’s tourist area. 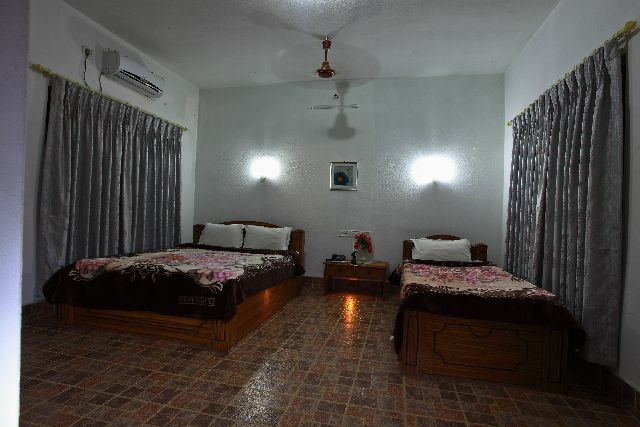 All rooms are aimed at comfort and have modern amenities. Enjoy a variety of cuisine at the restaurant or café, and relax at the bar. Visit Patan Durbar Square, Mahaboudha Temple, Kumbeshwor Temple, Krishna Temple, Golden Temple and many other places in Patan. See intricately carved windows, intrinsic roof struts, statues of gods and goddesses, temples designed in pagoda style, and repoussé metal work. Also visit a handicraft center in Patan. After breakfast travel to Pokhara, situated 200kms away from Kathmandu. Upon arrival, you will be escorted to your hotel. Pokhara will mesmerize you with its majestic scenes of snow-capped mountain peaks and exquisite beauty. Explore the deep-seated mysteries of the Mahendra Gupha (caves) named after Late King Mahendra Bir Bikram Shah Dev. A system of limestone caves, the Mahendra Gupha houses impressive stalactites and stalagmites. It is a popular tourist destination amongst locals, foreigners, and hikers alike. Also visit the Devil's Fall, the gorge of the Seti River, and a Tibetan refugee camp. In the evening, go boating on the famous Phewa Lake, the largest lake in Pokhara valley and the second largest lake in Nepal. Surrounded by Sarangkot and Kaskikot hills, the Lake holds a pagoda-style temple. Barahi Temple is a two-storied pagoda dedicated to Varahi, the Hindu God Vishnu's third incarnation in the form of a wild boar. Photographers will delight in seeing the reflection of Mount Machhapuchhre and Annapurna range in the crystal clear waters of the Lake. Return to your hotel after the tour. Hotel Landmark Pokhara is a heritage hotel built with hand made Nepali bricks and carved wood. It has 75 rooms, all with private balconies and modern amenities. The Hotel has an international all day dining restaurant, a bar, and a relaxing spa. After breakfast, drive to Chitwan National Park. The 5-6 hour drive is along a scenic route by a private vehicle from Pokhara on the Prithivi Highway along the banks of the Marshangi and Trisuli Rivers. Drive past several traditional Tharu villages and eventually reach your lodge. Return to your hotel to see the sun set from the banks of the Rapti River followed by dinner. See a Tharu dance performance by the local villagers in which you can also participate. Alternatively, see a slides show presentation about Chitwan. 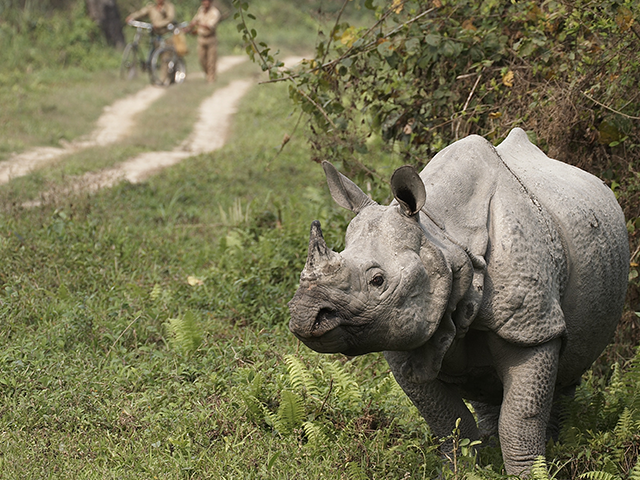 Spend the day exploring Chitwan National Park. At least 43 species of mammals can be found here. The Park is known for its population of the endangered one-horned rhinoceros, tiger and gharial crocodile. It is also home to leopards, sloth bears, wild boars, deer, and bison. 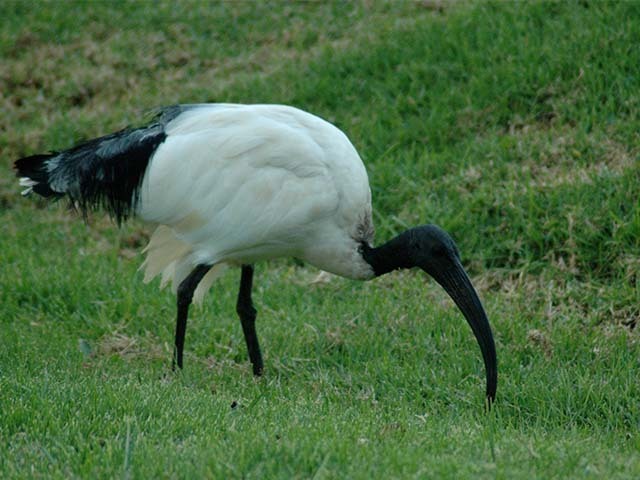 Around 550 species of birds have been reported in the Park. Spot the critically endangered Bengal florican, the vulnerable lesser adjutant, grey-crowned prinia, swamp francolin, the near-threatened Oriental darter and several species of grass warblers. The Park is one of the few known breeding sites of the globally threatened spotted eagle. Apart from the resident birds, about 160 migrating and vagrant species arrive in Chitwan in autumn including the greater spotted eagle, eastern imperial eagle and Pallas's fish-eagle. After breakfast, take a canoe ride along the Rapti River, excellent for bird watching and seeing the two rare species of crocodiles: the marsh mugger and the fish eating gharial. Then go for jungle walk around the Park. On the way back to Lodge, see elephants bathing. After lunch head into the Park to see various wildlife on an elephant safari. In the evening you will be presented with either a Tharu cultural dance or a slides show presentation. After breakfast, drive back to Kathmandu and check in to your hotel. The rest of the day is at leisure. Your 8-day Nepal holiday comes to an end today. Transfer to the airport for your flight home.